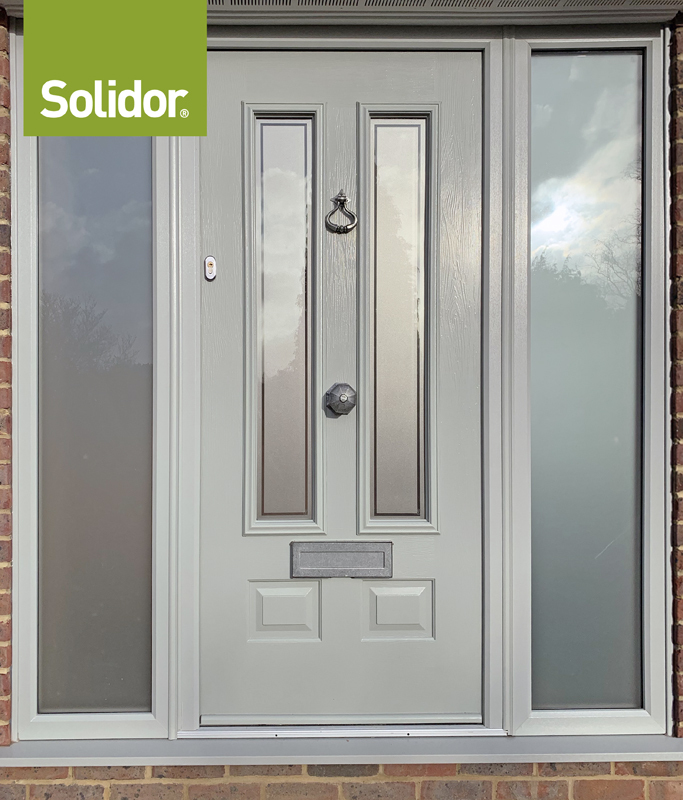 Solidor Tenby 4 composite door with satin glass. Anthracite outside/white inside. Chrome classic letter plate and bull ring knocker. Chrome lever and lever handles. 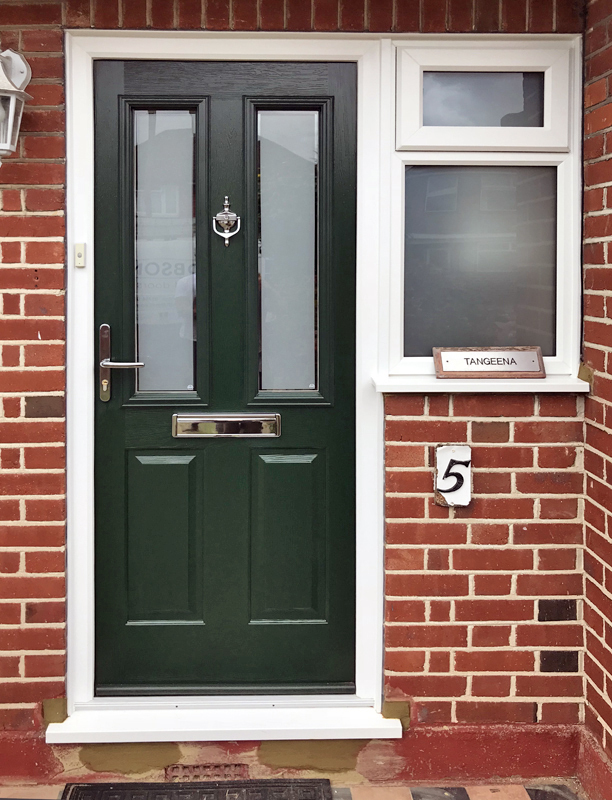 Solidor Ludlow 2 composite door with Beeston side panel. 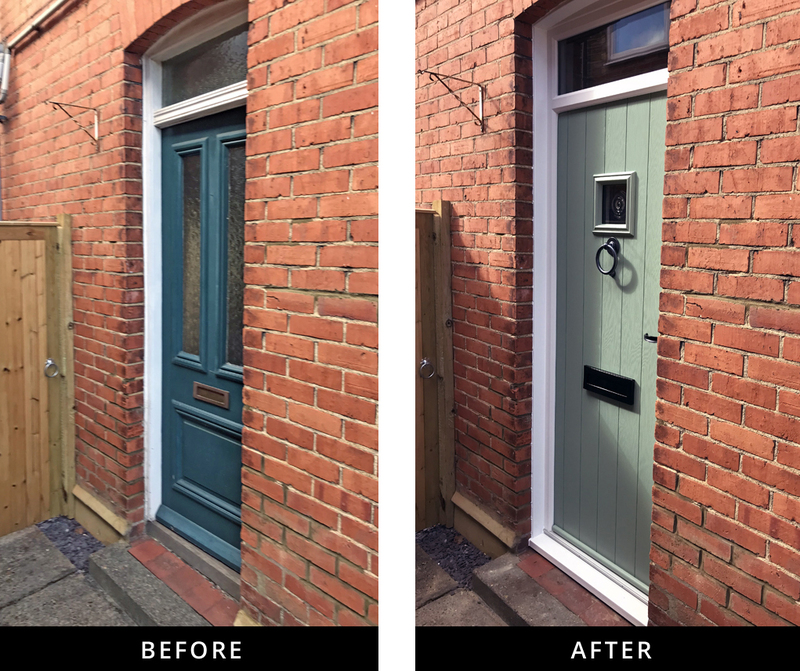 Victorian glass in both door and side panel. 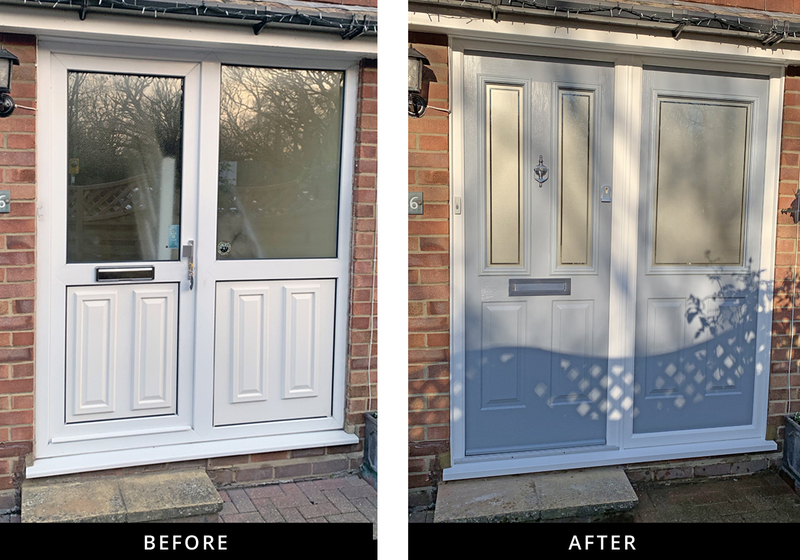 French grey exterior with a white interior. Architectural letter plate, brushed chrome knocker and hinges. 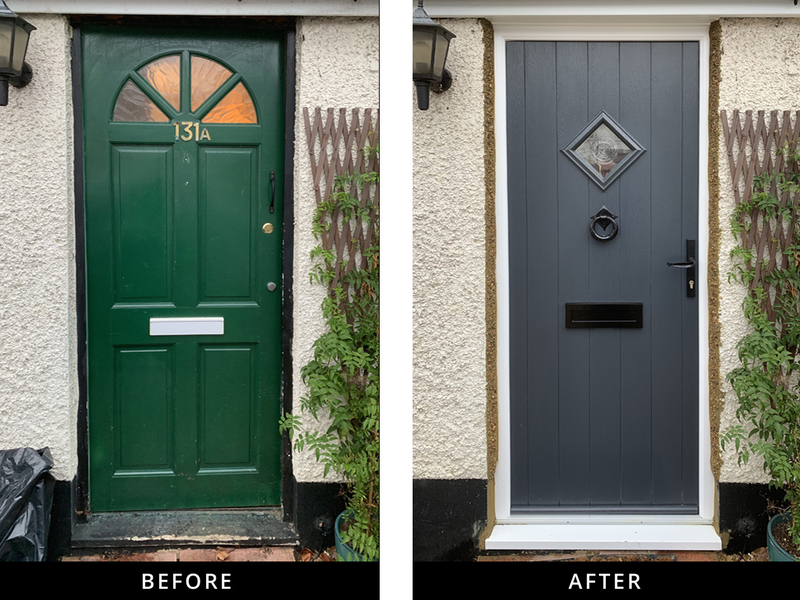 Here are some before and after shots of job fitted in Woking this week. All windows are A+ rated, triple glazed. 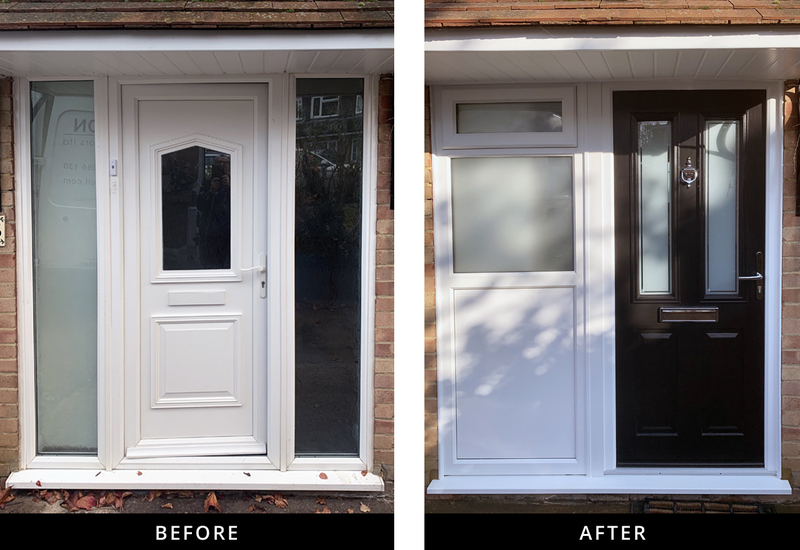 Rehau windows and doors. 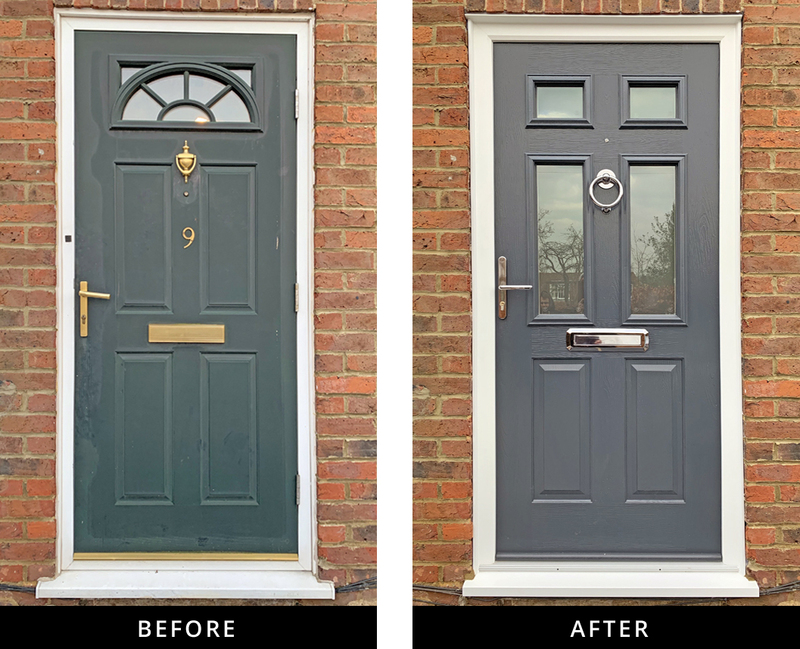 Front door is a Solidor Ludlow composite door in twilight grey. 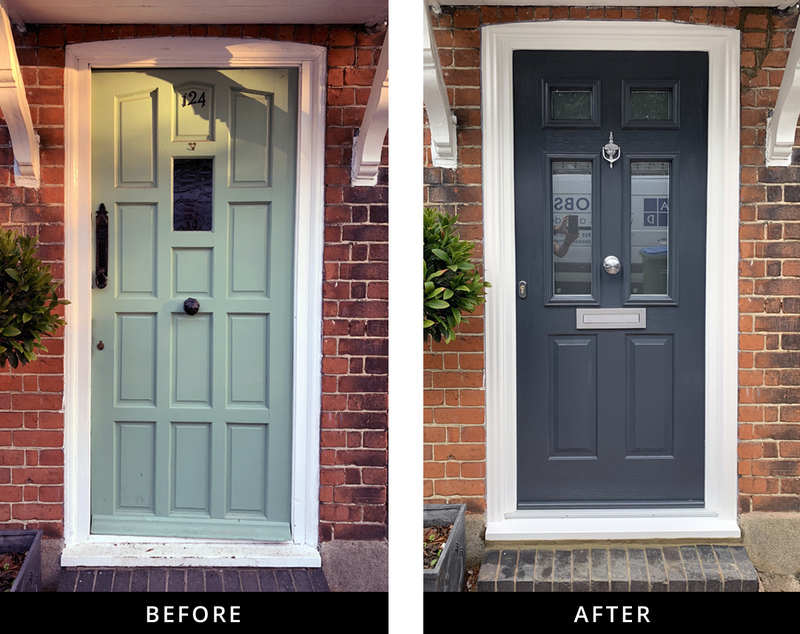 Twilight grey is available from Solidor’s new colour range (view the colours here). 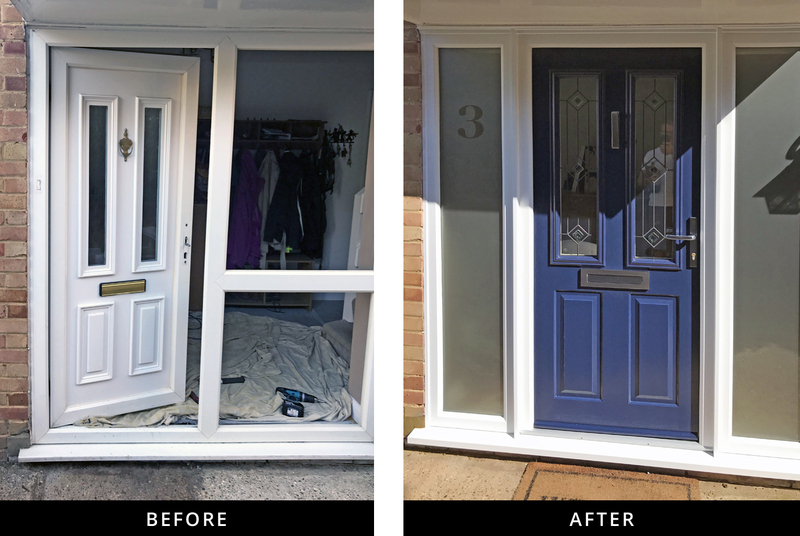 Solidor Ludlow 2 in blue with trio grey glass in door with satin glass in side panels. Number 3 included in left hand side panel.